It’s not what you think, but what I know, says the LORD. I Am the all-knowing, all-wise GOD, and your lower thoughts are inadequate. Stop relying on them, and trust that I know best. I will never lead you astray and I will never deny you anything good. What you want is not what is always GOOD for you, so trust in Me and My superior wisdom, and take Me as your Counselor. For I will always give you the answers of peace as you entrust everything to me, and let Me guide you by My SPIRIT, says the LORD. It is not about feelings, says the LORD. Stop judging things on how you feel. For your own feelings and that of others will betray you. Use your faith and trust in Me at all times, for that does not require you to understand. DO not lean on your own understanding or that of another, and do not trust in the opinions of others. They are endless and will lead you into circles and be confusing. Let My mind be in you, and lean on Me. 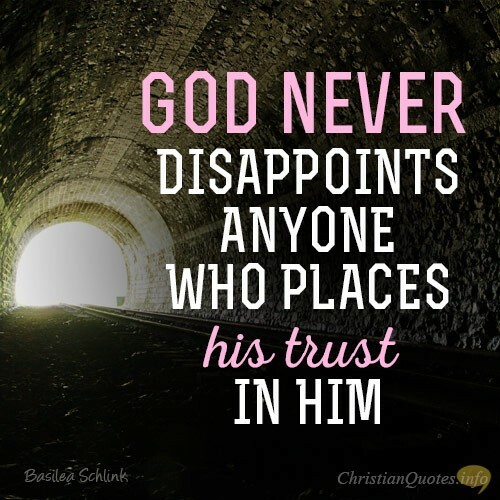 You will never be misdirected as you do, and the results will never be disappointing, says the LORD. Lord I put my trust in You. I will put my trust in you lord. Amen. Amen thank You Father God I will put my trust in You!! I trust you through it all.